As the largest update after Heavensward online, there are quite a lot of new items added in new Patch 3.1 including new dungeons. Except the new 24-player raid Void Ark, Saint Mocianne’s Arboretum is another 4-player dungeon which is praised by players. It is easy for players to reach requirements to enter than the Void Ark. Let’s go to farm Saint Mocianne’s Arboretum together with Ffxiv4gil. Saint Mocianne’s Arboretum is a level 60 4-player raid. It requires players to start the level 60 sidequest An Overgrown Ambition. Players can start the quest by talking to Tetchy Treasure Hunter in Dravanian Hinterlands (x12, y19). To unlock the quest, players need ti complete the level 60 Main Scenario Quest Heavensward (quest). To enter Saint Mocianne’s Arboretum, players must have item level 170 or higher. First of all, you could watch this video to have a whole view of Saint Mocianne’s Arboretum before enter it. Then we will explain each boss for you. There are several bees that randomly fly around the edge of the room. They will target random players and use a column AoE attack that needs to be dodged. When the Queen uses ‘Ally’, they will gather in two groups along the edge and launch a huge double column AoE attack with no ground marker. The bees blend in with the walls so you will need to pay attention to get out of the way in time. Partway through the fight, several Knight Hawk bee adds will appear and tether to the boss. This is a DPS check where the boss will do raid wide damage that gets stronger every time, so burn them down quickly. The first noteworthy attack is a big AoE which you only can dodge by being next to the boss, you have time to run towards him so it shouldn’t be an issue. After that he’ll summon Bulbs that will place ground AoEs that give you a stackable magic vulnerability up debuff. At the same time he’ll start casting Frond Fatale, which charm you into running inside the Bulbs’ AoE to get the debuff. To avoid being charmed you need to look away from the boss, be aware that the cast time is rather short. Besides this there is one more room wide AoE that hits for about 4K. He also summons some targetable adds which need to be killed. As loot of Saint Mocianne’s Arboretum, players could get not only ilvl 185 gear but also Allagan Tomestone of Law and Allagan Tomestone of Esoterics. 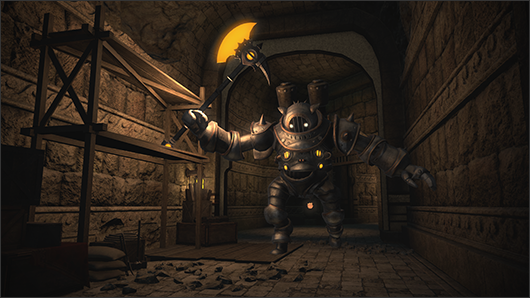 If you are lucky, you will get Korokkur Kid (minion) or Belladonna Card. Have the knowledge from this article, I think all of you could farm Saint Mocianne’s Arboretum easily. The hardest question may be the ilvl. How to upgrade ilvl fast to 170? Generally speaking, the fast way to upgrade ilvl is to buy crafting equipment from MB with FFXIV Gil. It may cost you quite a lot of FF14 Gil, so with this equipment you may look “rich”. But if you choose Ffxiv4gil to help you, you may have another way. You could choose Allagan Tomestone Handwork Power Leveling at Ffxiv4gil. No matter Allagan Tomestone of Law or Esoterics, you just need pay a few of dollars then we will help you to get. Allagan Tomestone could be used to purchase high ilvl gear, and it helps you to look like a studious player. 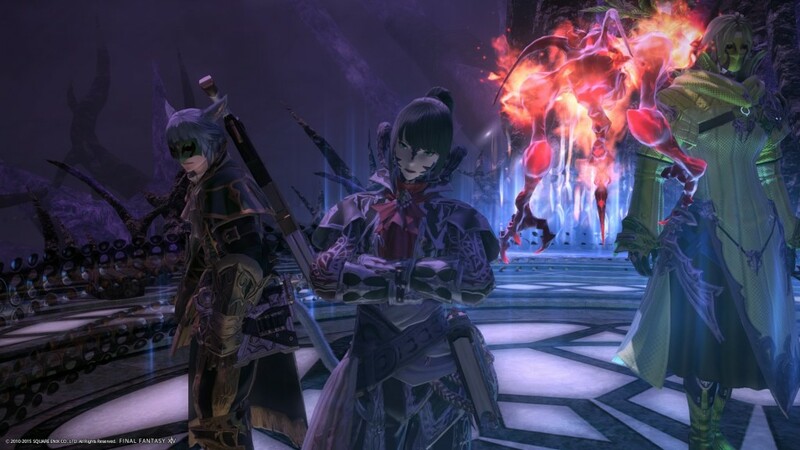 With the release of FFXIV Heavensward 3.1 patch, a new 24 man raid has been released! Void Ark – a floating palace filled with coffins and ugly things that will try to kill you. The raid is made up of three alliances of 8 people each. Each party is composed of ONE tank, TWO Healers, and FIVE DPS. There are four boss fights and several smaller stages of trash mobs. 1).ONE piece of equipment per week. You cannot roll after having received your item of the week. 2).ONE Mhachi Farthing per week. 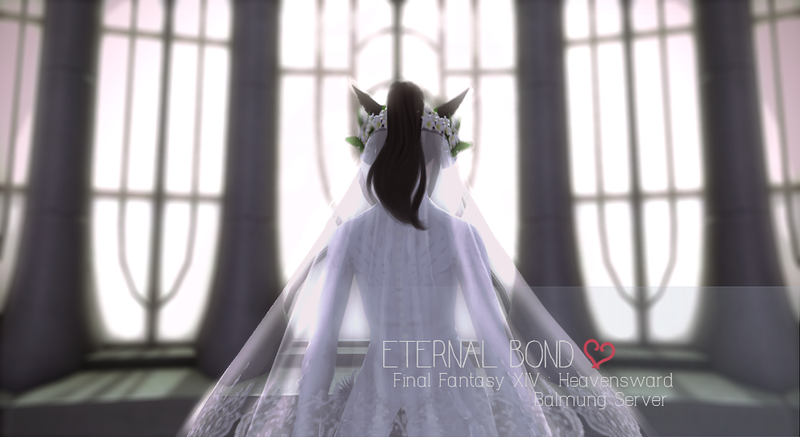 Can be exchanged in Idyllshire with Bertana (x5,y5) to enhance esoteric armor and accessories. First few baddies you will encounter are three ARK ANZU, two HYBODUS and a bunch of HYDROSPITE they are trash. Burn it with fire. Cetus is a stingray looking thing that looks like Seaworld’s devil. 1.Watch where Cetus is flying and make sure it is not heading your way and dropping water bombs on you. 2.Only one main tank is needed, the other two will be twiddling their thumbs and dpsing. 3.Be aware of what you’re standing in. Water bombs: These will appear randomly around the map. Get away from them as they will explode and form a small circle of don’t-touch-it-or-you-die AOE. Hybodus Pup AOE trace: A couple of these mobs will spawn and each will choose on player to tag. Tagged players must run towards the mob and kill it ASAP. Other players should help kill these as well. Cetus pooping WATER BOMBS: A couple of Hydrobus will spawn and everybody has to burn it down. Meanwhile, Cetus will be chasing after one person and pooping water bombs on their head. This person has to run FAR AWAY from the group and dodge the bombs. It does massive damage and can easily wipe parties. DIVE BOMB: One person will be marked with a green symbol. Get away from everybody. Electric Whorl: Map wide circle AOE. Run to the boss like you’ve never ran before. At around 30% one alliance party will be pulled into the middle and HYDROSPHERE and HYDROCORE will spawn. The team teams outside must kill all Hydrosphere to save the team inside. The team inside must kill the HYDROCORE to save themselves. This stage can easily wipe everyone if the parties are not doing their job. Pay attention. It’s not a boss btw. Make sure you stand with your party and that your ranged classes are taking care of the Pagan Knots/Vines. Sawtooth is the four legged creature with its tail connected to a giant pole. This pole is Irminsul. Yup, one of the bosses is a pole. 1.TANKS note that one of you will be twiddling your thumbs while the other two tanks one boss each. 2.DPS note which boss is resistant to what and don’t attack the one that is immune to your attacks. 4.DON’T GET EATEN. Every time an ADD or a party member is eaten Irminsul gains one damage buff and an increase to its enrage bar. So dodge and kill adds ASAP. Also, if you get eaten you turn into a plant that tries to kill your party members for 10s. Just don’t get eaten. If you get eaten, you will turn into a plant that will attack other party members and turn them into a plant as well. This increases the enrage meter. MUCUS BOMB: One person will have a dirty yellow circle marked above their head. Anyone standing near this person will be attached to everyone else that was near this person via a yellow line. Anyone attached to a line will be frozen. Other party members must run through the lines to free them. Sawtooth Wipe Mechanic: Line of sight him by getting behind Irminsul (the pole). You will know to do this when Irminsul becomes shiny.Repeat until death.The next stage will be all trash mobs. Kill the hell hounds, gargoyles and blackguards and you’re good. Boss 3: Cuchulainn AKA OMFG WTF IS THAT THING. Ugliest thing ever. It’s like they mixed everything ugly together and came up with this. 2.Kill adds and absorb red balls with full HP or another party member. 3.Healers prepare to AOE heal like crazy. Every person will be inflicted with one stack of “BLEED” the moment the fight begins. 5.Don’t look at it for too long. Positioning: Note the locations of the four platforms and stand near one at all times. Also don’t stand in green puddles. They’re bad. Flailing Tentacles: Cuchulainn will lift up its tentacles and slam them down. Get between its tentacles to avoid. Gyrotowers: will spawn around the map. Burn them down immediately. Every person will be inflicted with “Bleed” and each Gyrotower that is up will add one stack of “Bleed”. BILE BELOW: when the entire map fills with green gunk, jump on one of the platforms. Foobar and Void Gates: Void gates will spawn on each platform and a FOOBAR will emerge. Burn them down and the void gate will disappear. Black Phlegm: Red circles will appear around the map. Players must run to each ball and absorb the balls. Either absorb it with full health or absorb with multiple party members. Corrosive Bile: It will puke on everything in front of it in a wide frontal cone. It’s awful, just don’t stand in front of it. This guy is easy compared to the last couple of bosses. 1.Label three corners of the map ABC. When Echidna splits into three, each tank will grab one and take it to their letter. Their party will follow and burn it down. 2.Stack on guy with orange symbol to divide damage. Remember to label three corners of the map ABC. This is important for the DPS check. ORANGE SYMBOL: A party member will have this orange down arrow on his head. Run inside circle to help absorb damage. Dodge Mapwide AOEs: Two huge rectangular AOEs will take up most of map. Either run to the sides or stay in the middle. During ABYSSAL REAPER you can avoid the attack by moving away from the boss. The attack is a circle cleave. PETRIFACTION: Enchidna will cast PETRIFACTION that will freeze everyone who is still looking at it at the end of its cast. Turn away. DPS Check: Echidna will split into three and each tank must take one and pull to their corners assigned in the beginning. Make sure they are FAR APART. They will gain a buff when close together. Burn it down or wipe. TANKS you don’t have to provoke. One will automatically come to you. Party with ENCHIDNA note that it will still cast PETRIFACTION. HEALERS you will have to AOE heal after all three mini boss dies.